Research is an umbrella term for a range of different data and insight disciplines. But what role does it play in modern marketing strategies and what hurdles can it overcome? In this webinar, we’ll be exploring what types of data and research really make an impact on your marketing efforts and where to apply and deploy different research strategies. 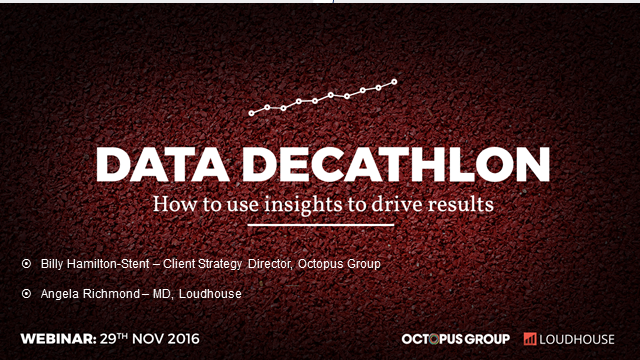 From brand audits to thought leadership to customer insights, marketers need to run, jump and skip through the data decathlon to find that illusive competitive advantage.